safety from fire for your congregation and visitors. ​protection from fire for your building and interior. ​Compliance with fire legislation and insurance requirements. ​Surely this is what everyone responsible for their place of worship wants, but how do you achieve this? Heritage & Ecclesiastical Fire Protection intimately understands places of worship, and their use. ​ We are THE specialist company you need to give you peace of mind that the fire risk assessment we undertake will be carried out in a sympathetic and balanced manner. It will adequately protect life and property from fire and fully comply with the requirements of fire safety law and your fire insurance. ​Having a fire risk assessment conducted is not a choice, it is a LEGAL OBLIGATION for all places of worship. 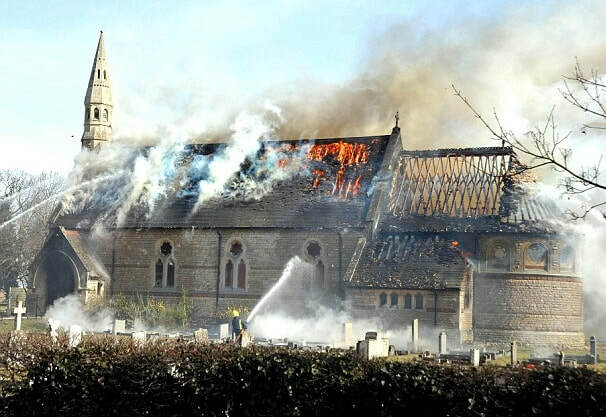 Shocking statistics show that every year, there are over 2,000 fires in churches and chapels in England alone, costing many millions of pounds in repairs and an incalculable cost in lost heritage. Most of these fires are thankfully discovered early and put out before they develop further. 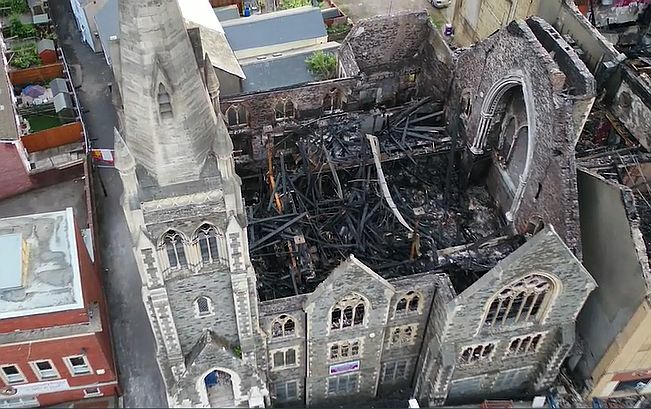 Some, however, are serious and destructive; a few are catastrophic, such as the Church of the Ascension in Salford in February 2017 and the Bethel Community Church in Newport in June 2018. It is estimated that at least 20 churches of historical importance are destroyed or seriously damaged by fire every single year! 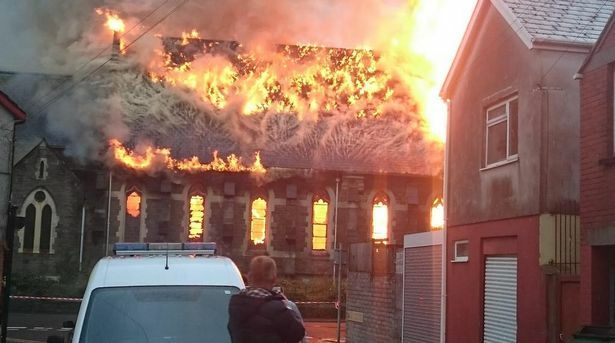 A church engulfed in flames is a very sad and tragic sight. Apart from the serious risk to life in and around the building, at Heritage & Ecclesiastical Fire Protection ​we understand that a serious fire results not only in the loss of physical historical buildings and interiors, often of national importance, but also in the loss of the spiritual focus of the community. People feel strongly about these special buildings even if they are not active members of the worshiping congregation. The loss of such a building can be devastating as it is a sacred repository for the collective memories of a local community where people have worshipped, been baptised, married and buried, often spanning many generations. The vast majority of fires in churches could be prevented by having good fire risk management, achieved through a comprehensive fire risk assessment. In the aftermath of a fire it is often discovered that it was the actions or inactions of the guardians of the church that caused the fire, or made the fire worse. 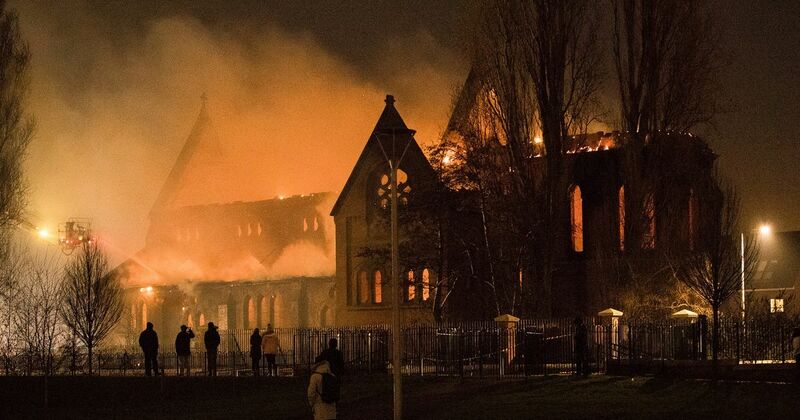 It is a legal requirement to have a “suitable and sufficient” fire risk assessment for virtually every type of non-domestic building, and that includes places of worship. It is a criminal offence to not have one, and just as criminal to have one that is inadequate. Churches and chapels are specialist buildings that need a specialist holistic assessment, with full regard for the historic importance and spiritual ambience of your place of worship. A general risk assessment that does not take all of this into consideration is just not fit for purpose. ​That's why you need Heritage & Ecclesiastical Fire Protection. diversification in the use of your church building. ​The National Churches Trust is encouraging diversification in the use of church and chapel buildings as venues for the arts, leisure, social and other community activities, including hosting facilities such as a library, Citizens Advice Bureau, community shop, farmers market or post office. In line with this trend, in November 2017 the “Crossing the Threshold Toolkit” was launched jointly by the Diocese of Hereford and the Historic Religious Buildings Alliance, supported by the Allchurches Trust. It provides help and guidance to any group taking a community development approach towards adapting a church building for wider community use, while balancing the needs of existing worshippers. If you are planning to expand or vary the use of your place of worship, even if major building works are not required, this will be considered as a “significant change” under the FSO and can have a substantial effect on the fire safety in your building. These changes MUST be considered in your fire risk assessment and you may require additional fire safety equipment to be compliant. please Note that Although the terminology used on this web site tends to refer to churches and chapels of the Christian faith, heritage and ecclesiastical fire protection conduct fire risk assessments on places of worship of all faiths and denominations including synagogues, mosques, temples and gurdwaras.